You’ve probably heard the phrase “everything old is new again”: look at how popular culture has recently been celebrating fashion from the Edwardian era (Downton Abbey) to the Fifties (Mad Men) to the Seventies (too many to list!). It’s true in marketing as well. With the proliferation of digital marketing, it’s easy for your message to get lost in a sea of emails, so savvy marketers are rediscovering an old favorite: direct mail! Getting “dimensional mail” (the new term for actual postal mail) is rarer today, which makes your message stand out above the rest. And the best part is that now you can tie direct mail in with your marketing automation system; it’s a seamless way to integrate the best of the old with the power of the new. 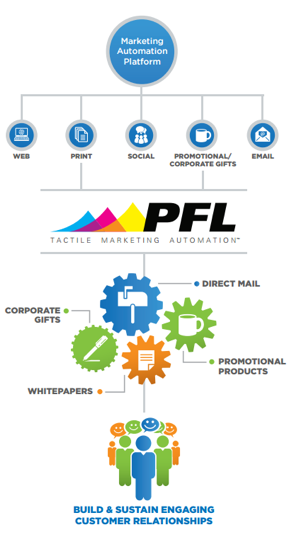 DemandGen has partnered with leading marketing solutions company PFL to integrate high-impact tactile pieces with our clients’ digital campaigns. Tactile Marketing Automation™ (TMA) is the process of automating the delivery of a personalized item – a coffee mug, a box of cookies — or a piece of printed material, directly from the leading MA systems including Oracle Marketing Cloud/Eloqua and Marketo. I’ve seen amazing results from campaigns just like that. In an age when people are becoming desensitized to email in general, it takes amazingly good content and an extremely strong product or service to get a response from an email campaign – but according to PFL, 79 percent of consumers act on a brand’s direct mail piece immediately. Why? I think it’s because a more tactile, personal, one-on-one approach makes your recipient feel valued: and people remember how you made them feel, more than they remember what you said. Adding a tactile step to a campaign is simple, using PFL’s TMA software: easy-to-install API connectors for Eloqua and Marketo. 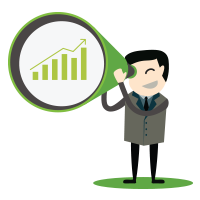 The TMA solution drops into your automated campaigns as an event-based trigger; you simply drag and drop tactile marketing instances wherever you need them, just as you would any other campaign step. The options are virtually limitless. 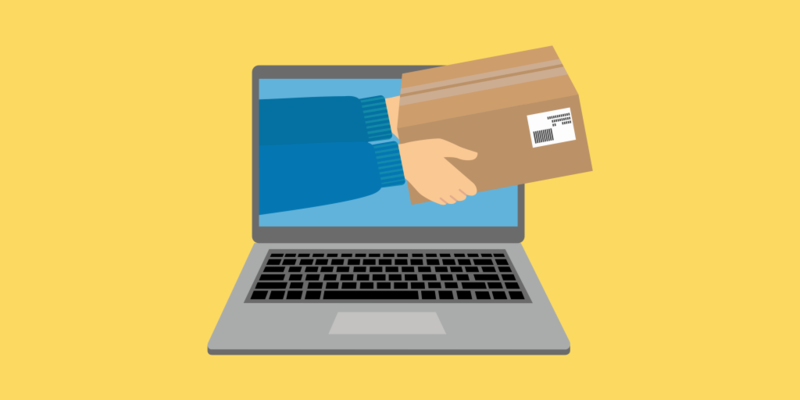 Sales campaigns are obvious, but what about customer onboarding or an employee welcome kit? Once you get started, you’ll discover even more ways to take advantage of the opportunities that Tactile Marketing Automation offers. And you can personalize each piece, whether it’s a gift item like the iPad sleeve, print marketing collateral, or what-have-you. 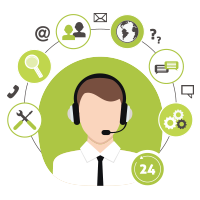 All the inventory, fulfillment, shipping and tracking are handled through your vendor, and activity data is instantly available within your MA/CRM system. PFL offers a huge stock of items you can customize, and can stock your own promo items; you can also send brochures, personalized letters, and nearly anything you can imagine. If you think this idea sounds exciting, you’re not alone! We’re pretty excited about it ourselves. Talk to us to get started with your first tactile campaign.